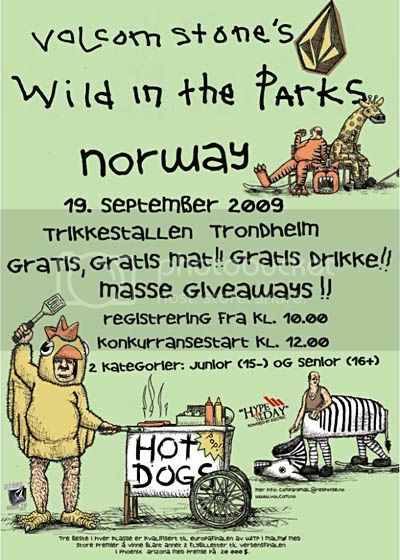 Wild in the Parks is an international amature skateboard contest series. Also known as: Volcom Wild in the Park / WITP / W.I.T.P. The last stop of Volcoms Wild In The Parks european tour was held at Mollet del Valles Skatepark in Barcelona recently, with skaters from Brazil, Panama, France, UK, Russia, Norway, US, Portugal and Germany. The first time ever UK portion of the Wild in the Parks tour was held at the Mile End skatepark in London. Here are results and footage. Here are results and footage from the Greek Wild in the Parks event, held at the renewed DIY skatepark of Galatsi. Here is the dates and scheduled stops of the International Volcom Wild in the Parks tour.